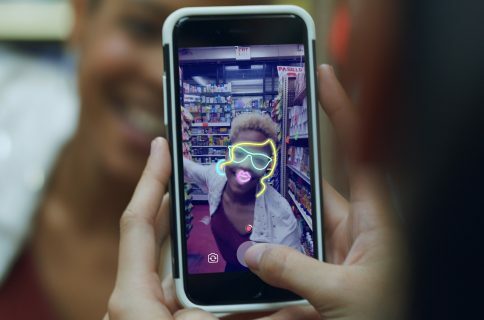 Microsoft on Wednesday pushed a noteworthy update to its Pix Camera app for iPhone and iPad, which made its App Store debut in July of this year, bringing out two new shooting modes. For starters, the app now lets you turn your short videos into amusing comic strips by permitting you to easily add things like speech bubbles. You can write your own text for the bubble, as well as move, rotate and resize any speech bubble you’ve created in the app. To get started with video comics, tap on the most recent thumbnail after taking a video, or simply select any video from the Gallery and tap the new Pix Comix option. The AI-driven Pix Camera app now supports Photosynth, too. Photosynth started out as a Microsoft service which analyzed photographs and generated a three-dimensional model of the photos and a point cloud of a photographed object. It was later updated with support for gigapixel panoramas. 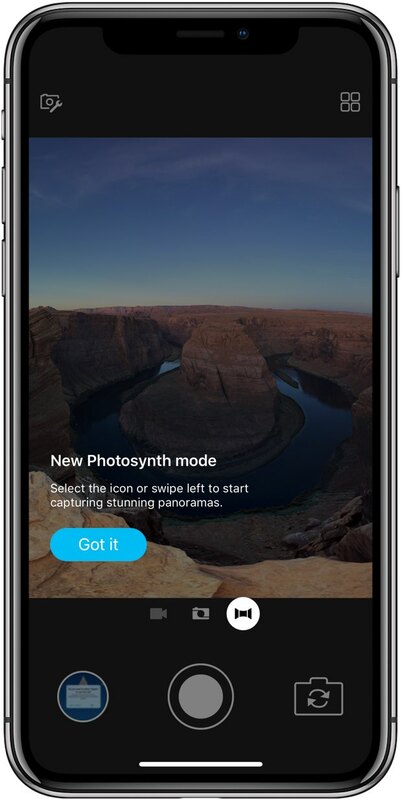 Although Microsoft decommissioned the Photosynth website and services in February, they’re calling the beautiful panoramas that the Pix Camera app now produces Photosynths. To start capturing gorgeous spherical panoramas in this mode, tap the new Photosynth icon at the bottom of the Pix Camera or swipe to the left in the viewfinder. With this mode, you can freely capture the whole scene in any order you like: side to side, up and down, back and forth. In my brief testing, Photosynth consistently produced pretty great results. This mode makes it very easy to capture a wider perspective and take in more of the scene you’re standing in front. I wholeheartedly recommend you download the app and give Photosynth a try. Microsoft Pix Camera is a free download from App Store.